I don't know if you've seen a Kumori branch near you, but I have been able to in SM North Edsa's The Block at the ground floor. It's a little shack with interiors that are a little woodsy, reminiscent of a log cabin with Japanese flare. 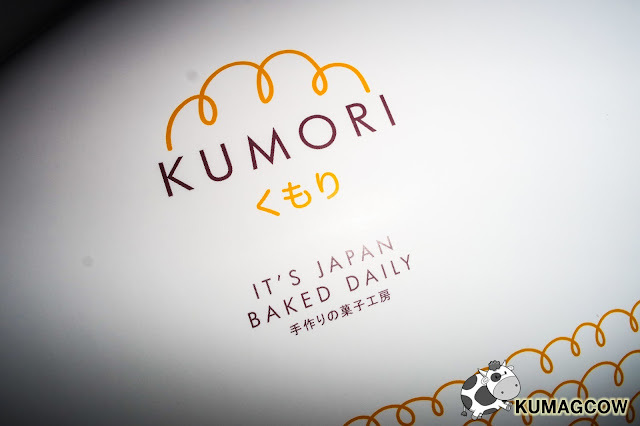 It's a Japanese franchise and if you could see, they actually use imported ingredients so they can recreate the freshly baked goodies they're pretty much known for. I had a bite or two of it just to make sure it's fresh, I kinda wanted to be in their quality assurance team and chomp my way through it but that's a long shot I guess. Just note that it really smells so good when I was around their establishment, like freshly baked breads should be. Check out these items we took home from the store! 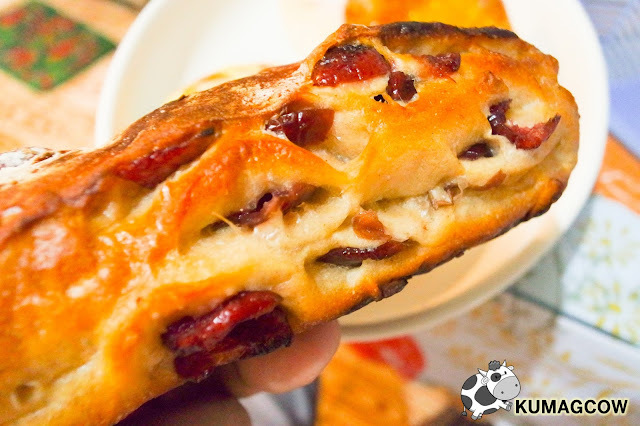 The Cranberry Yuzu - Sweet compact bread with dried cranberry fruit pieces folded in. 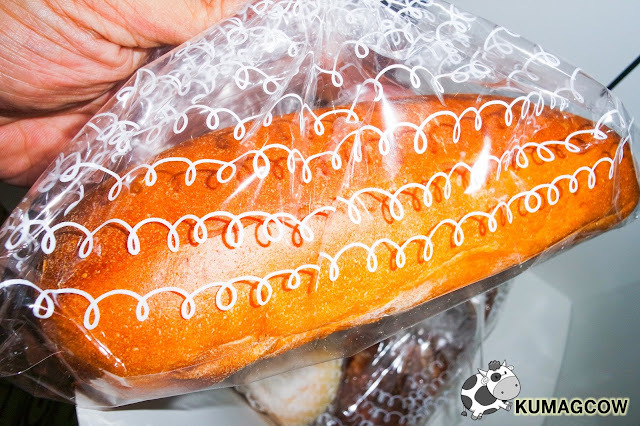 You can have this sliced, have a few pieces over tea or coffee. It's filling and healthy, you'll probably get needed fiber requirements for the day and vitamin C :) it's lovely! 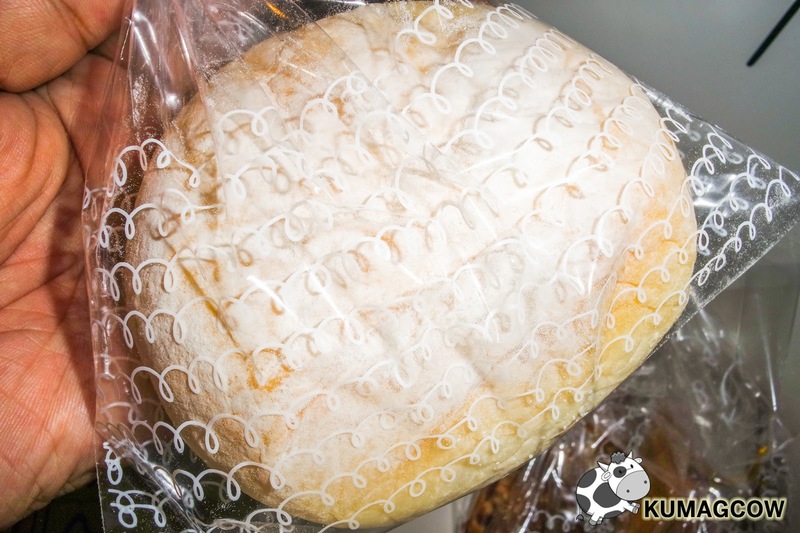 Ciabatta - If you're into something filling, this is their Ciabatta bread. I can imagine having this during dinner in lieu of dinner rolls so I can have it toasted lightly, sliced, then dipped into extra virgin olive oil with balsamic vinegar. Or just have it with cold unsalted butter, ahh I'm imagining things. 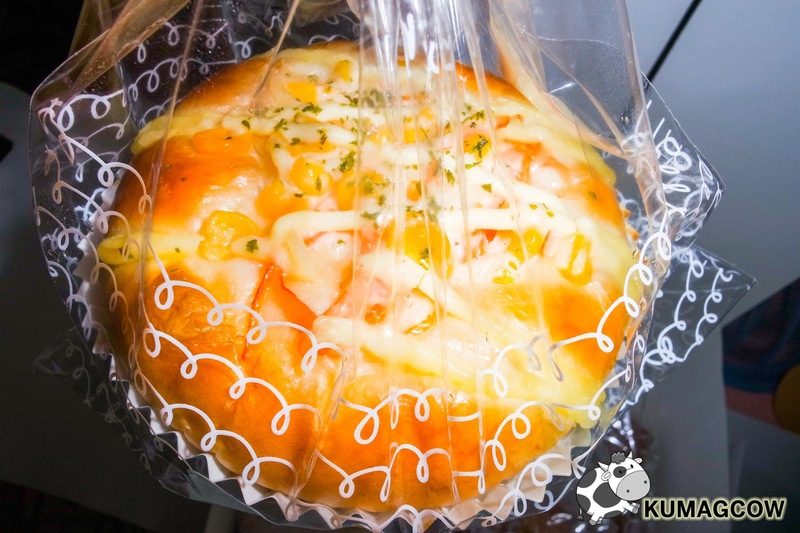 You can make this a canvass and have it in any meal, be adventurous! This is my personal favorite, the Custard Butter Bun. 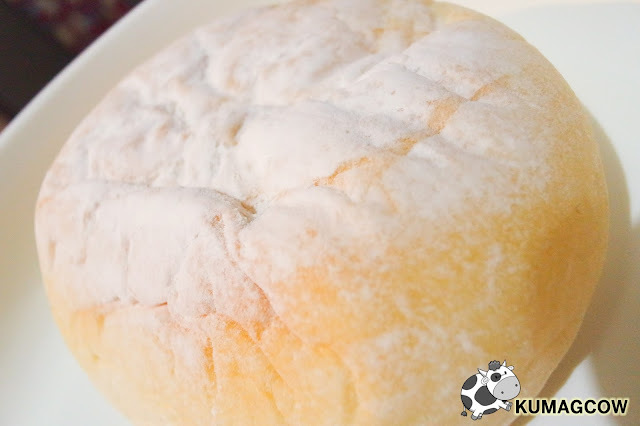 The bread is super soft and when you bite into it you'll get a cold explosion of the rich egg custard swirled with milky buttercream filling. You'll be closing your eyes while having it because it's so good. For those who want something savory, Kumori also has this Crabstick Bun. 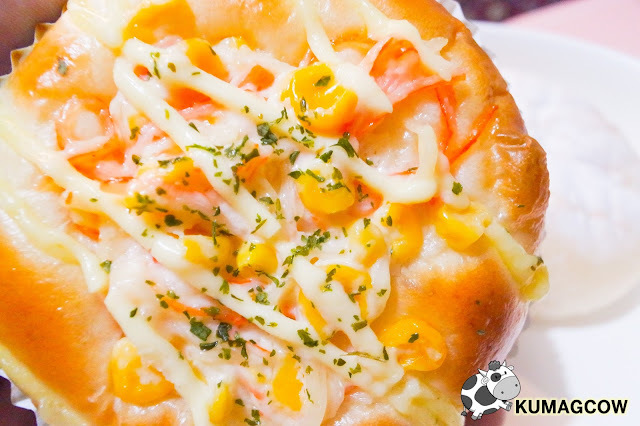 It's your favorite Japanese maki ingredient on top of a soft baked bun plus creamy Japanese mayonnaise and corn. 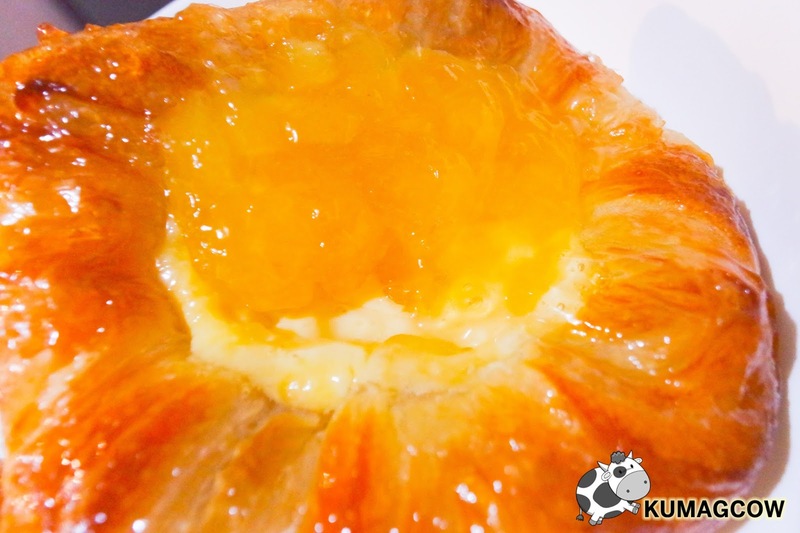 It's a lovely combination and you can have this during tea time or a pinoy merienda. It's JapaNICE, and I'm sure the kids will too. 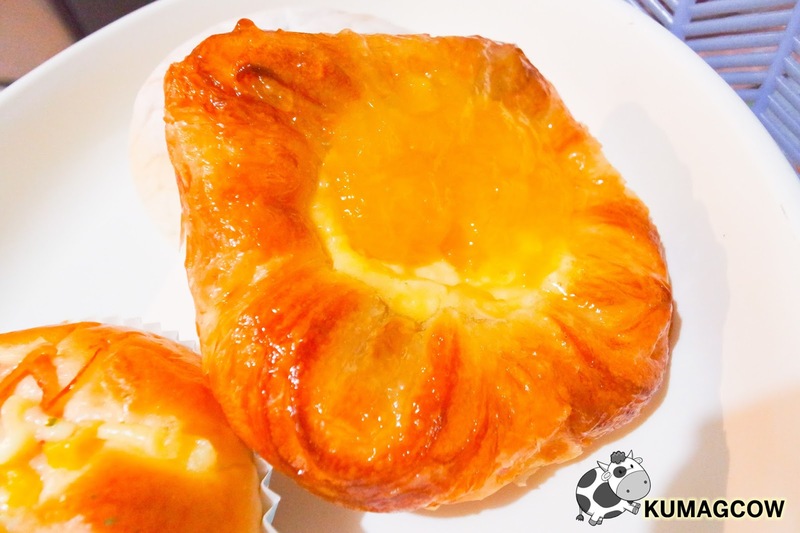 For those who want something tangy and sweet, Kumori wants you to experience this Apple and Cheese Danish. It's flaky home made filo dough baked til golden brown then Apple filling plus a small amount of cheese on the bottom. You'll get that sweet, tangy, salty kind of mix in the center and that lovely Apple flavor in the end. It's like having Apple Pie on a hot summer day. I'd love this with ice cream or a sundae, perhaps a bottle of ice cold Coke on the side. Although I'd recommend the tons of drinks that they also have inside the store which are a hit with those who have experienced it. I didn't take one home because it'll melt but you can check out their Facebook page if you want to see it. 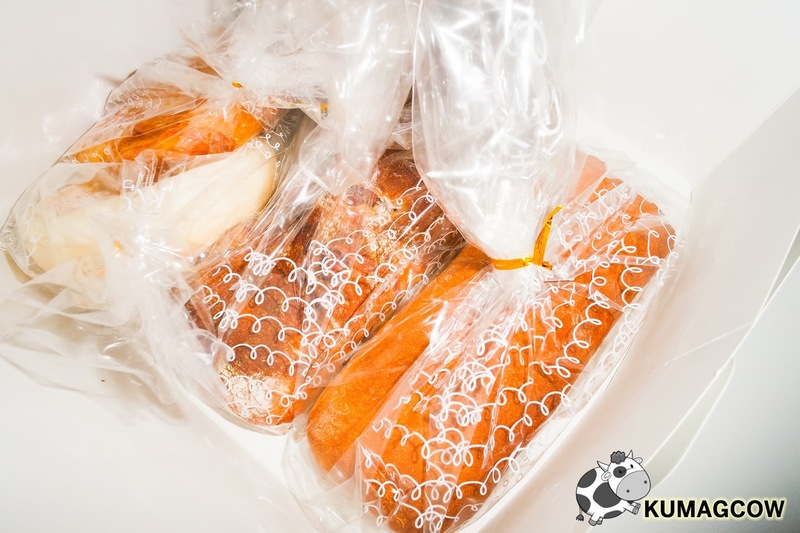 Kumori does have really good breads, and you just have to discover it. Visit their stores now at the Lower Ground Level of SM Makati, the Basement Level of Landmark Makati and the Ground Floor of SM North EDSA's The Block. 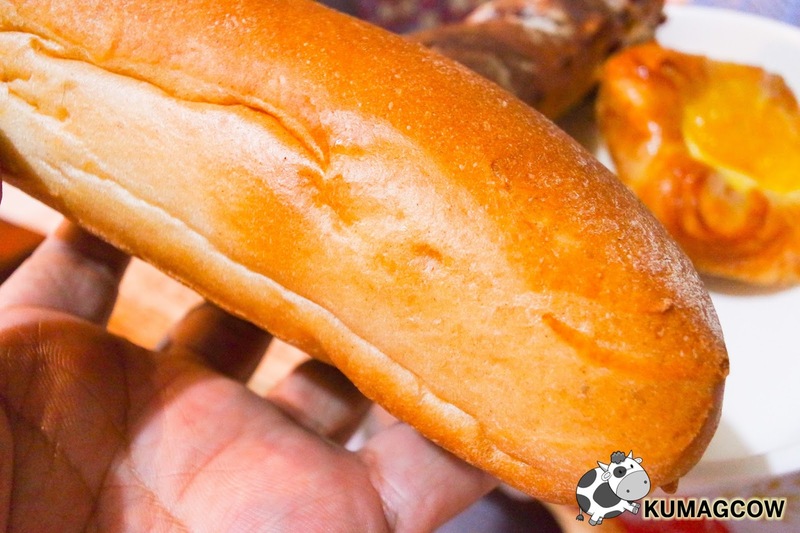 They've got freshly baked breads, awesome drinks everyday!